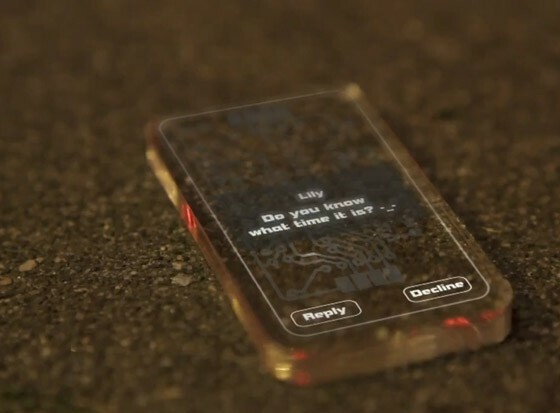 We’ve heard about the sapphire crystal display for the iPhone 6, and a range of luxury modifications to past Apple mobile devices, but what about glass? In what may hint at a future iPhone or iPad encased only in glass, Apple have recently patented a process for making “Fused glass device housings”, which will enclose electronic components. The “five-sided box” is innovatively fused together, to form a lightweight and strong all-glass casing. You may be wondering what a five-sided box actually is? Well presumably the sixth side is the device display. The patent notes how many devices include some degree of glass housing – Apple’s current iPhone 5S has an aluminium body with glass panels at the top and bottom of the rear – however to ensure robustness they’re often fused with other materials or made to be excessively heavy and bulky to prevent damage when dropped. “It would therefore be desirable to be able to provide improved glass structures for electronic devices,” the filing concludes. Apple’s new method involves fusing glass panels together with a chemical strengthening tool and then filing them in to the appropriate shape. When the process is complete there will be no visible join or seam. Raised glass features and ribs would then strengthen the structurally weak areas of casing. In order to fit buttons, ports, and other features, holes would be carved out of the glass shell and everything slotted in to place. Just because it’s glass however doesn’t make the casing see-through (though that might be a cool novelty), the patent suggests components will be hidden from view by tinting the glass. According to CNBC Apple have also patented a similar process for making all glass monitors and TVs. Would You Buy All-Glass Electronics? With Apple the question is not always would you? But when will you? Their popularity is so high that unless something drastically bad happens most consumers will simply purchase the next product as it comes. If it’s glass then it’s glass. Whether this will actually see the light of day any time soon however is not clear. The tech giant has many patents and ideas that haven’t been implemented and are used simply for experimental purposes. The glass patent was filed by the Californian corporation in January 2012 but only granted by the US patent office yesterday. Therefore it is most likely too late to be utilized by the iPhone 6.